Boston!, a photo by unglaubliche caitlin on Flickr. Lisa and i spent a day in boston and it was really nice. 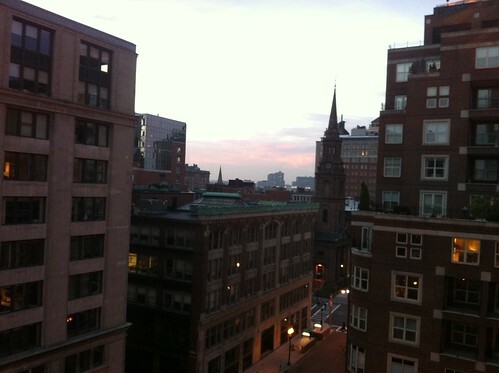 this was the view from our hotel and i thought it was very bostonian. I was glad we had done all the touristy stuff when we were there with mom, and we didn't feel like we had to do paul revere anything. we walked a lot through boston commons and had fancy breakfast in Beacon Hill. we ate dinner at an awesome afghan restaurant in cambridge and went to the JFK library. it was fun!